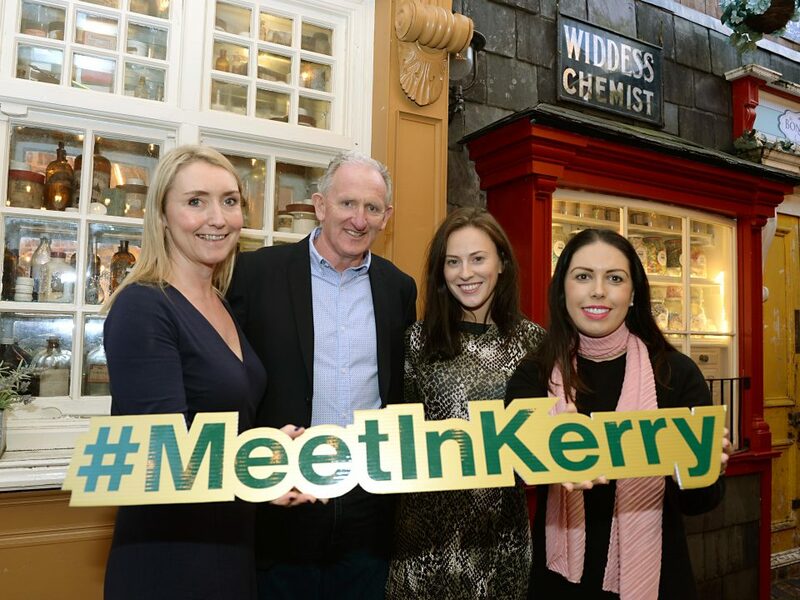 Hosted by Kerry Convention Bureau (KCB), the first program, designed as an ‘Experiential Weekend in Kerry’, offered a group of senior staff from leading UK event agencies the opportunity to come and experience the best of what Kerry has to offer for business events on a relaxed three day educational program connecting them with local business event suppliers and operators. A US based sporting event planner was also in attendance. 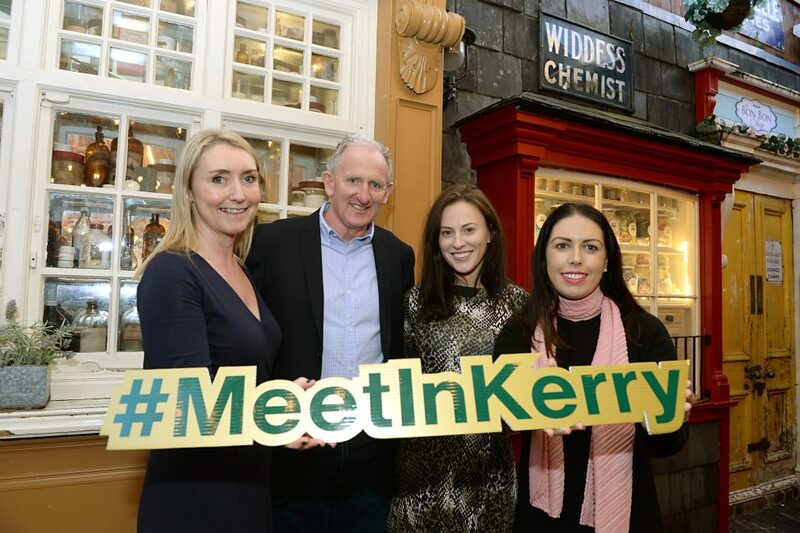 The program was designed specifically to boost Kerry’s profile as a vibrant and spectacular destination for business events and conferences. 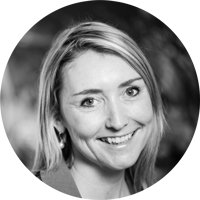 Offering a combination of experiences, product and networking, the group were left with an unforgettable impression of a compact destination that delivers world-class MICE events by applying invaluable local heritage, expertise and knowledge to achieve uniquely successful events for clients. 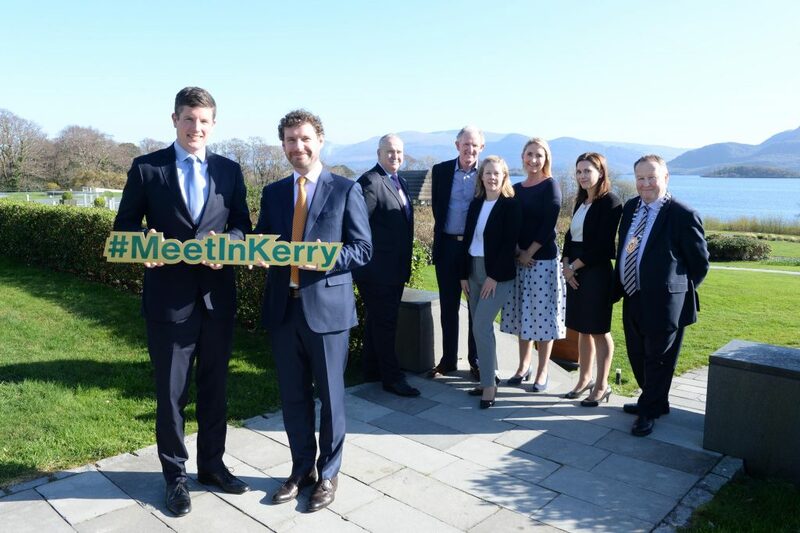 “Kerry is a spectacular place to inspire, engage and motivate business tourism delegates” said KCB Chair Mike Buckley. 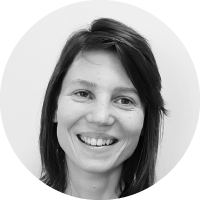 Whether it’s an association or corporate meeting or a high-end incentive, we offer unrivaled facilities in idyllic locations throughout our region”. 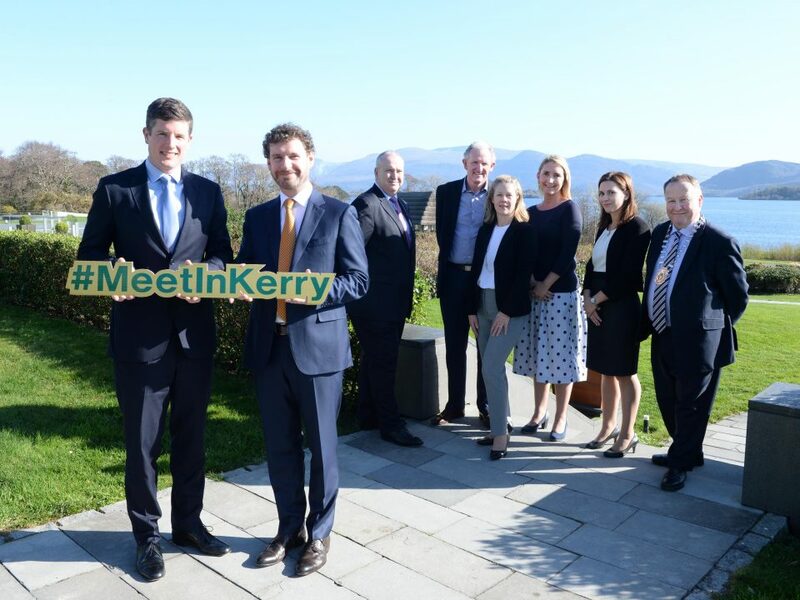 He added “In the past 5 years, Kerry has welcomed over 220 conferences/ meetings and 180 incentives with more than 120,000 delegates from over 25 different countries. 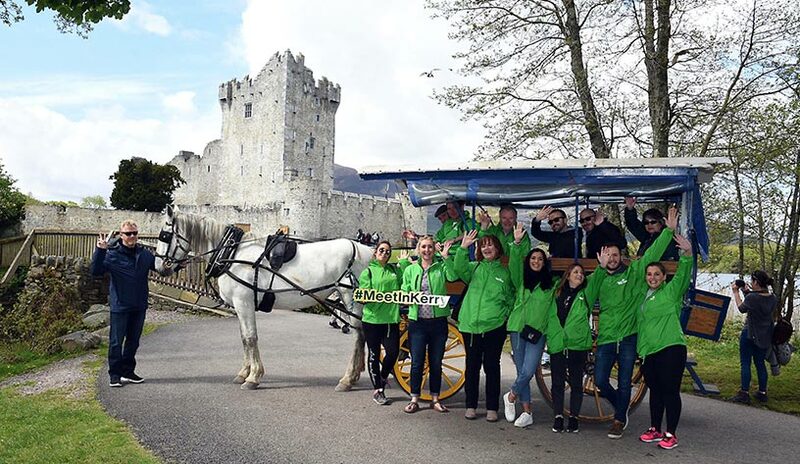 The program highlights included a day trip with a difference out to the Dingle Peninsula on a bespoke tour organised by Hidden Ireland tours, VIP tickets to the Gary Barlow concert at the INEC as well as visits to a range of 5* and 4* KCB member hotel properties across Kerry. 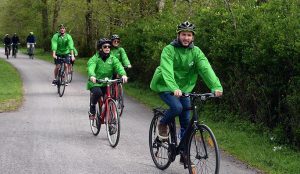 The program also featured signature experiences such as riding bikes and Jaunting Cars through the National Park, a boat trip from Ross Castle to the Europe Hotel and Resort and immersive activities like Dingle Distillery Tour and a gentle hike up Dunmore Head. 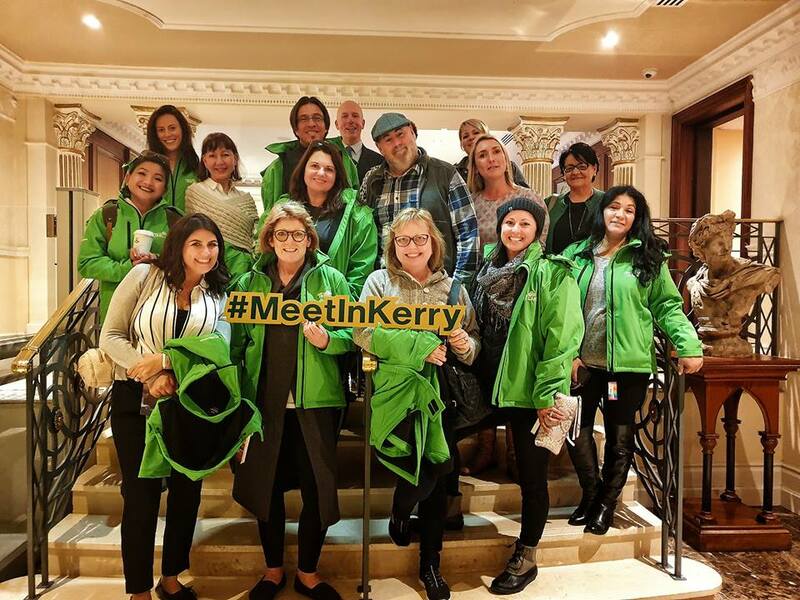 Hosted by Fáilte Ireland’s Meet in Ireland team, in partnership with Tourism Ireland and Wallace Travel Group, a second group of ten US event planners also visited the region this week, as part of an educational program showcasing Kerry, Shannon and Dublin. The group enjoyed experiences including a visit to Muckross Traditional Farms and a mini Ring of Kerry Tour as well as spending time visiting some of the business events facilities, venues and accommodation, that Kerry has to offer.